Digging around in your backyard you might come across some old coins, definitely some earthworms, maybe something the dog buried and forgot about, or if you were really lucky the fossilized bones of a dinosaur. 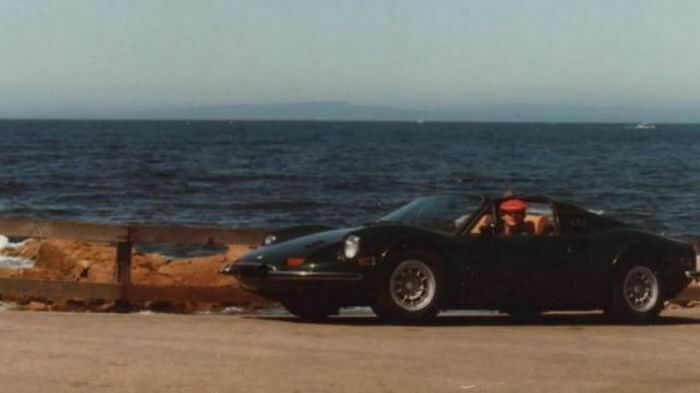 But a 1974 Ferrari Dino? No. Not really the sort of thing someone would bury in the ground. Ever. But that's what happened when a group of boys chanced upon one after digging around in their backyard in West Athens, Los Angeles in 1978. 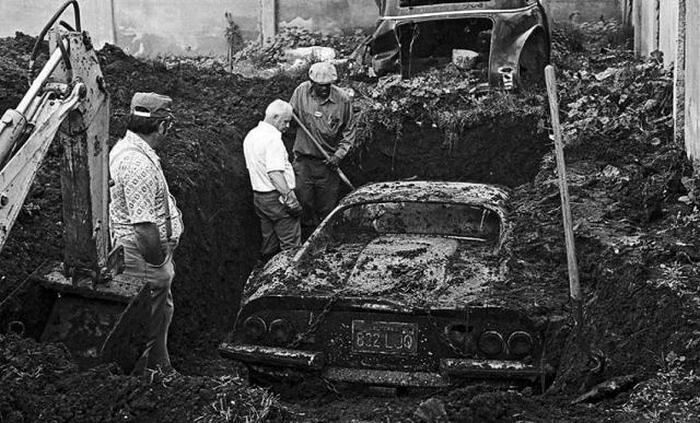 They struck something that felt like the roof of a car and discovered it sitting there a few feet under the dirt, a 1974 Ferrari Dino 246 GTS. What the? So they told their parents who called the cops who dispatched a LA County Sheriff's detective Dennis Carroll to come take a look and investigate how this had come to be. 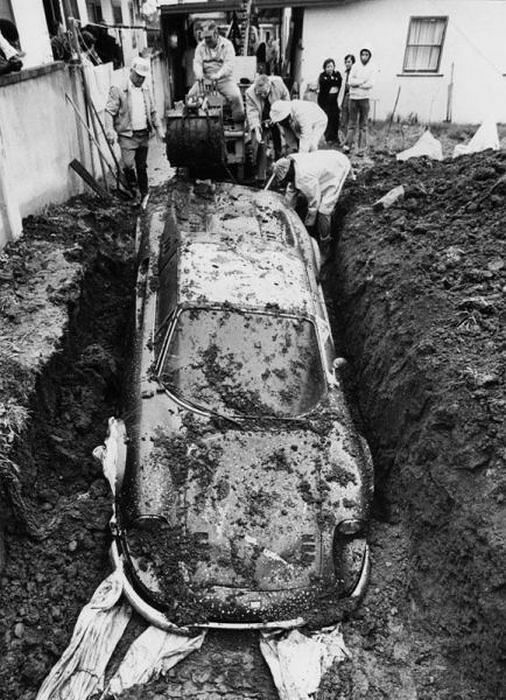 The car had been laid to rest with some rugs tossed on top and towels in the vents, a crude attempt to protect it from the effects of being entombed. Also indicating that whoever had buried it meant to dig it back up again at some point. 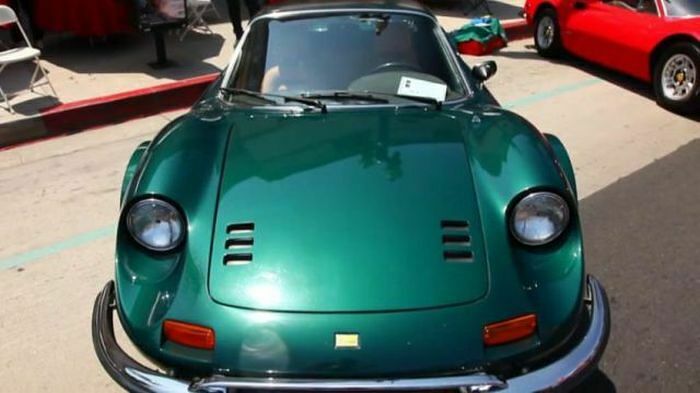 The detective looked inside and saw nothing out of the ordinary, apart from the interior being a bit worse for wear—but once he checked the plates it turned out the car was on the LAPD's stolen list. After 'digging around' some more (see what i did there?) the detective eventually uncovered the truth. 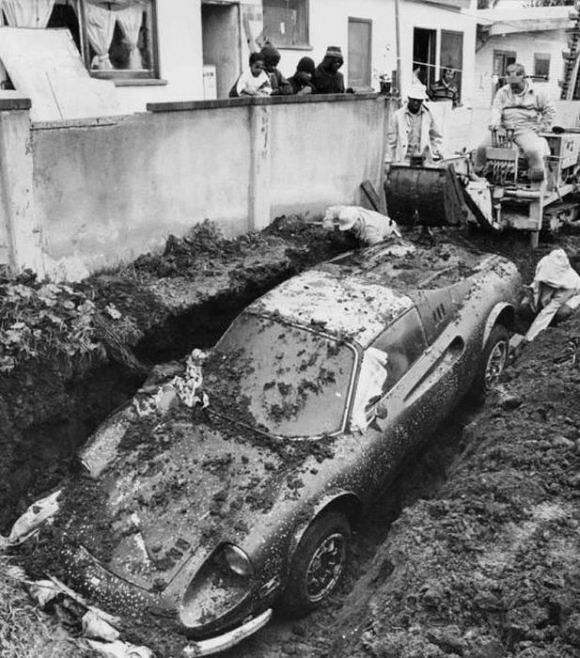 It turns out the car had ended up buried in the earth as part of an insurance scam, revealing it had been bought in October, 1974 by Rosendo Cruz of Alhambra, California and had been a present for his wife but had been stolen on December 7, Pearl Harbor Day, while the owner had sipped martinis with his spouse at the Brown Derby on Wilshire Boulevard (The place to be seen in Hollywood). Seems like the perfect 'hard-luck' story, right? Just a shame there was a 'bit' more to it than that. It transpired that the owner of the car had hired some guys to steal it and dump it in the Pacific ocean. But instead of a burial at sea they laid it to rest in the ground, in a back yard, with the intent to go and dig it up at some point, which they obviously never got around to doing. 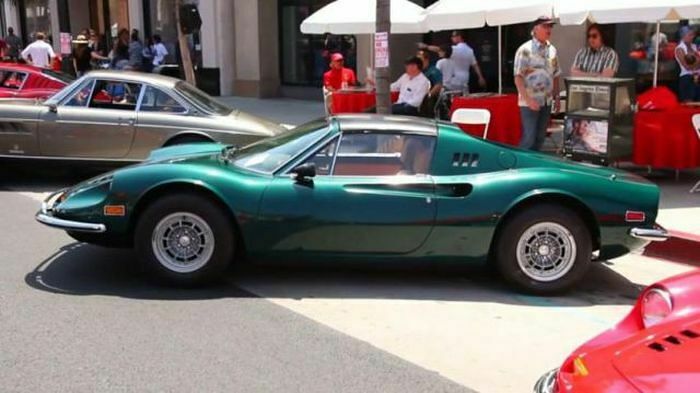 After the investigation had uncovered the truth the car was then auctioned off and bought by Californian mechanic Brad Howard. He meticulously restored the car, added a numberplate "DUG UP" that nods to its bizarre history and has owned it ever since. He describes it as being in "awesome shape." You can't help but admire it's beautiful curves and classic shape, it really is the perfect buried trasure.